In the three editions of Someone Would Have Talked, I presented sources and circumstantial evidence suggesting that certain CIA officers instigated a joint action against President Kennedy â€” using individuals, networks and assets which had previously been used in a series of efforts to eliminate Fidel Castro and senior members of his regime. Anecdotal evidence, including remarks by certain senior CIA officers suggests that action evolved through the activities of individuals within the CIAâ€™s Department of Plans (Operations). What Someone Would Have Talked, some 480 pages in its most recent (2010 paperback) edition does not do is to provide a full picture of the culture and conditions which could allow such an act to be instigated by CIA personnel and then not be exposed by an Agency investigation. In essence that work deals with â€œwhat happenedâ€šâ€œ rather than â€œhow could something like that happen?â€ In other words, how can you take a position that CIA officers were involved and yet maintain that it was not an act of the Agency as a whole? The only way to respond to that question is to engage in a historical study of how political assassination evolved within the Central Intelligence Agency. How did it start, how was it conducted (how will you recognize it when you see it), who gave the orders, and perhaps most importantlyâ€š who were the people actually involved in such actions as political assassination and even on a grander scale, â€œexecutive actionâ€ of senior political leaders during the 1950â€™s and 1960â€™s. 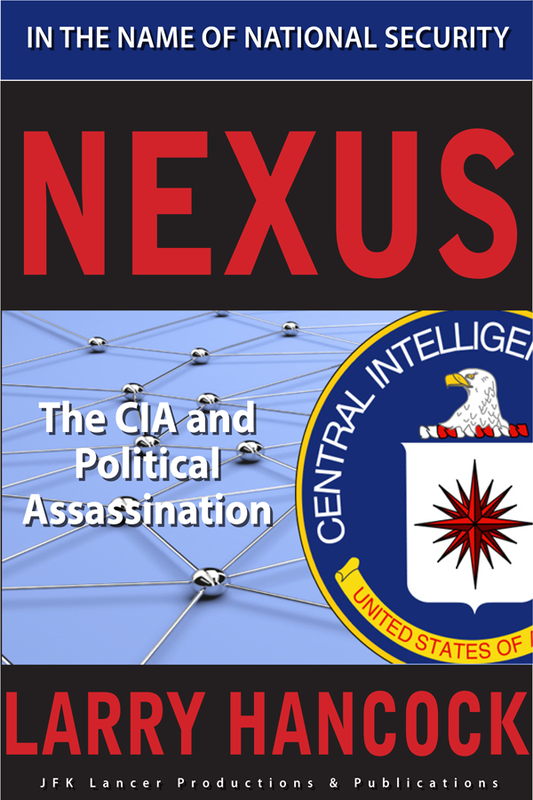 While many of those questions were quite mysterious for a considerable time, much detailed research is now available (including that of various Congressional investigations of the 1970â€™s) as well as a host of actual documents on the subject of Agency political assassination (many of the documents are quite dry and still â€œcryptedâ€ with code words and agency name crypts, which have only recently become known). Equally important, only in the last decade have biographies and oral histories on some of the key Agency personnel have allowed much deeper insights into internal social networks as well as the sorts of dialogs which really made things happen inside the shadow world of covert operations â€” the things that never showed up in memos, were obfuscated with agreed upon â€œagency speakâ€ and often were never sanctioned with as a designated project (which meant waiving normal agency internal security procedures and virtually all oversight), in other words, the way such things were done under â€œextreme deniabilityâ€. To properly address such a subject, it is necessary to present background on the Agency as well as the personalities of certain of its inner circle covert personnel. Itâ€™s also necessary and to trace the development of a â€œcultureâ€ which viewed murder as simply another tactic â€” justified by a variety of national security concerns. In this study we will examine a culture which considered any perceived weakness in the face of Communist expansion as being equivalent to treason; a culture in which an obsession with national security could and did override all other moral and legal constraints. Itâ€™s not a particularly pretty story and it will be necessary to â€œwadeâ€ into it in some depth, but I feel that the rader will will learn a good deal about the Agency, and about American cold war history. A great deal of it will be new; it certainly was to me, even after a decade of working on the subject. That story exists only because, over time, the American people have risen up and demanded the release of information which revealed the truth of the nationâ€™s covert operations during the height of the cold war. It is time to pass on the lessons learned from the release of the JFK records, and to bring about a fundamental change in the way in which American citizens obtain information from their government â€“ especially at a time when we still continue to struggle with seemingly endless (and needless) foreign wars and regime change.